New figures have cast further doubt on the government’s assertion that becoming an academy improves schools – revealing inadequate schools have more chance of improving by staying under local authority control. Internal government figures, released after a freedom of information request, show more than one in four inadequate secondary schools that became sponsored academies were rated inadequate again. That compares to only seven per cent of inadequate secondary schools that stayed with their local authority. It is abundantly clear that academy sponsorship is not the driver of school improvement. The figures for primary schools make for similar reading, with eight per cent of sponsored academies that were inadequate before converting getting another inadequate in their first Ofsted inspection. That compares to just 0.6 per cent of primaries that stayed under their local authority. The Department for Education has issued a strong rebuttal, calling the figures “misleading”. But they appear to further undermine the Government’s new Education Bill which will pave the way for more failing schools to become academies. 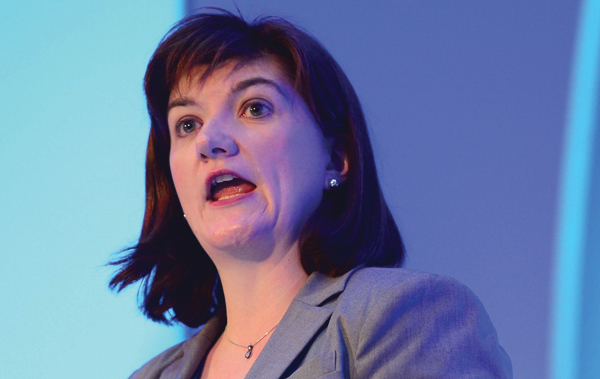 Education Secretary Nicky Morgan, while announcing the bill, said “we think a day spent in a failing school is a day too long when children’s education is at stake”. Her claims have today been shot down by unions who say the new figures prove academisation isn’t a silver bullet for failing schools. Kevin Courtney, deputy general secretary of the National Union of Teachers, said in a statement: “It is abundantly clear that academy sponsorship is not the driver of school improvement. 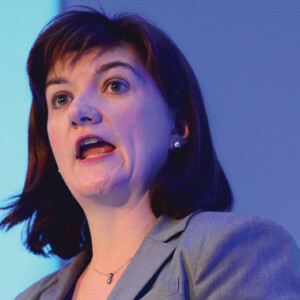 “Yet Nicky Morgan is persisting with driving through Parliament a Bill that will force more and more schools to become sponsored academies whilst depriving parents and governors of any say in the matter. This is irresponsible beyond belief. Henry Stewart, an education blogger and founder of Local Schools Network who obtained the figures, said they show “serious problems” with the sponsored academy model. But the DfE said the figures are “wrong and misleading”. A spokesperson added: “The numbers for local authority schools do not include the hundreds of inadequate council primaries that closed to become sponsored academies, by their very definition these would include the worst performing schools. They also raised concerns with the sample number. Just 66 secondary and 48 primary schools that were rated as inadequate have had Ofsted inspections after converting to sponsor led academies. His analysis shows that of the 331 local authority-maintained primary schools rated inadequate in their previous inspection, only two were inadequate in their latest inspection. He added: “The evidence is clear: leaving a school with the local authority makes it far more likely that the school will improve than converting it to a sponsored academy. However the DfE highlighted a number of facts which they said show academies are having a positive impact on young people, including that sponsored academies have GCSE results more than six per cent above their predecessor schools, compared to 1.3 per cent higher in non-academies. Test results in sponsored primary academies improve at more than double the rate of non-academies and results for free school meals improve faster in those schools, the department said. Mr Stewart’s freedom of information request followed a government report last year which compared the Ofsted grades for maintained schools and converter academies – successful schools that chose to convert. It found converter academies were more likely to improve, which education secretary Michael Gove said showed academies are “much better”. But Mr Stewart wanted to find out if the department held similar figures for sponsor academies, and if so, why were they not published. It is believed the DfE did not publish figures for sponsor academies at the time because the pool of sponsored schools was too small. The DfE response states that, for primaries, 92% of sponsored academies improve on becoming a sponsored academy. However, for “Inadequate” schools that did not become academies, 99.4% improved. If I had a car that got to its destination 99.4% of the time, I would want to improve on that. But if somebody came with a new model boasting it got there 92% of the time, I would not be impressed. That 7% difference, across all primaries rated “inadequate” means 7,000 children. The 20% difference at secondary level represents 42,000 children. The figures therefore indicate that 49,000 more children would remain in schools designated “inadequate” for longer if all such schools become sponsored academies. The DfE complacency on this is shocking. The DfE said, ‘sponsored academies have GCSE results more than six per cent above their predecessor schools, compared to 1.3 per cent higher in non-academies.’ But non-academies don’t have ‘predecessor schools’ so how can such a comparison can be made? Some sponsored academies have been around for a few years which raises the question how far do academies go to show this rate of improvement? ARK boasts about raising attainment at ARK Charter Academy from a low of 0% at the predecessor school. But that was in 1999.